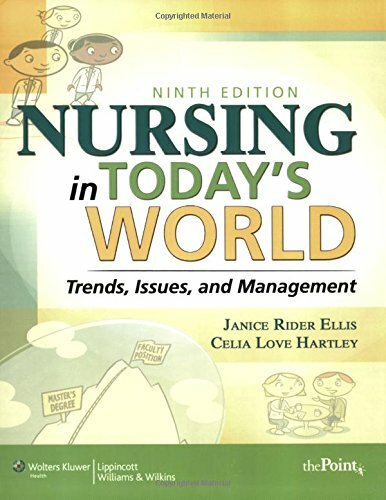 The AJN Book of the Year award-winning textbook, Nursing in Today's World, is now in its thoroughly revised, updated Ninth Edition. This vibrant full-color text presents basic concepts underlying professional nursing along with contemporary issues affecting the profession, including educational preparation, health care finance, legal responsibilities, and ethics/bioethics. Critical thinking exercises are embedded throughout the chapters. Key terms and concepts are highlighted in bold. This edition has more critical thinking exercises, plus a new Communication feature that teaches students how to communicate effectively in difficult situations. A new chapter, Nursing for the Future, includes discussions on informatics in nursing and evidence-based practice.